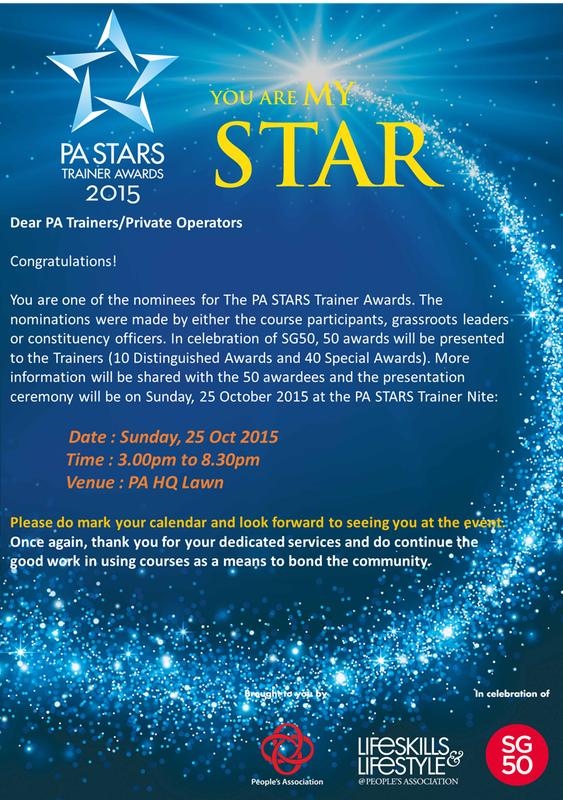 Instructor Raymond was nominated by both grassroots leaders and staff of Pasir Ris Elias and Pasir Ris East Community Clubs and students of Singapore Wing Chun Academy for the PA Stars Trainer Awards 2015. Results for the Award will be announced in October 2015. Whatever the outcome, Instructor Raymond will like to express his heartfelt thanks to all who had taken the effort to nominate, wrote and signed their testimonies.